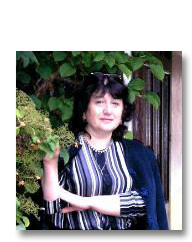 Manana Gelashvili is a Professor of English at Tbilisi State University. She obtained her PhD for her thesis on Coleridge, Wordsworth and the Romantic Imagination, parts of which were published in Tbilisis Uuniversitetis Sromebi [Tbilisi University Works] and in Saqartvelos Mecnierebata Mkademiis Bbiuletini [Bulletin of Academy of Sciences]. She writes on many aspects of English and American Literature as well as on translations from English into Georgian and vice versa. She has written extensively and made presentations at various international conferences on James Joyce, Virginia Woolf, William Faulkner and Ezra Pound. Her latest book, Drois problema modenistul literaturasi [The Problem of Time in Modernist Literature] (2005), studies the poetics of modernist movements. Her many critical articles on modern poetry include articles on Carmen Bugan, Richard Berengarten (with Temur Kobakhidze), and Georgian poetry in English translation. She has also edited scholarly books, among them on James Joyce and Somerset Maugham, and has supervised a number of doctoral dissertations on Joyce, Iris Murdoch and William Golding. Her translations from English and French include works by Paul Verlaine, Thomas Wolfe and T.S. Eliot printed in Literaturuli Saqartvelo [Literati Georgia] She is currently preparing as a co-editor (with David Chandler), Collected Essays on English Literature Today.